The Marine Corps’ main cyber war-fighting organization will soon be growing. Maj. Gen. Lori Reynolds, commander of Marine Corps Forces Cyberspace Command, said her force doesn’t have the depth to do what the Army is doing in experimenting with integrated offensive and defensive cyber effects at the tactical edge with full brigades. The Army is continuing to evolve concepts to fight and win in future operating environments. But what will these capabilities look like, and how will they impact the overall force structure? This is one of the reasons the commandant approved expansion at MARFORCYBER, Reynolds told Fifth Domain following her appearance on an AFCEA-hosted panel in early April. “We’ve got to do that,” she said, referring to what the Army is doing. “We’ve got to get the rest of the service, Training and Education Command, we’ve got to give them the skills and the talent, if you will, to think about how do we prepare the rest of the Marine Corps to integrate cyber effectively. 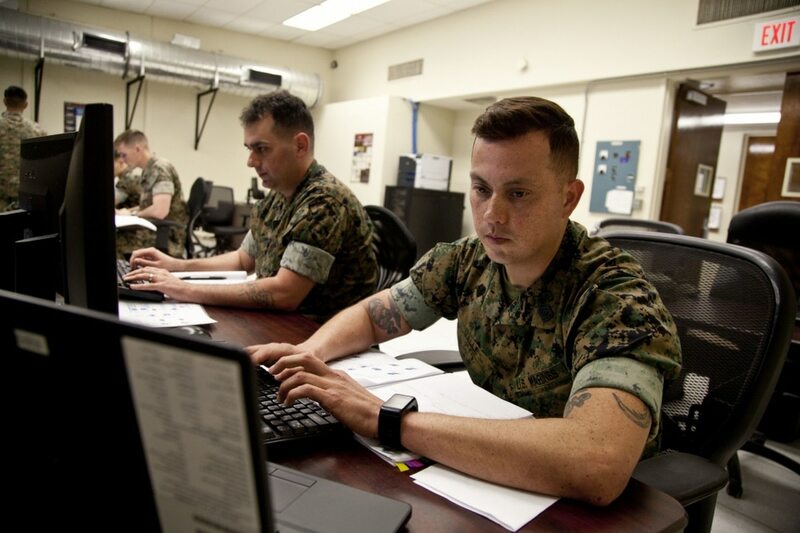 Moreover, the Marine Corps created a cyber career field earlier this year and requested 1,000 billets related to cyber/electronic warfare/information operations in the most recent budget to be better postured to fight and win in an increasingly modern battlefield. A big step in the Corps' development of cyber career tracks. MARFORCYBER will get around 40 percent of new career field designees to work on the defensive side with just a couple going to the offensive teams, Reynolds said. The Marines have recognized that cyber is going to be a foundational capability in the future with some ingrained organizational structure behind it. Currently, the Marines deployed on the cyber mission force — a joint force that makes up U.S. Cyber Command’s cyber warrior cadre — are lateral moves, Reynolds said, or they’re working as signals intelligence Marines and they’re just in and out of cyber. While the total number of forces on the CMF will stay the same, the types of Marines filling those roles will change, a MARFORCYBER spokeswoman told Fifth Domain. When a communication officer currently working on a team rotates, that billet will be coded as a cyberspace officer and will be filled only by someone in the new cyber career field, they added. The model going forward should be building a “foundation from the ground up of defensive cyber and then maybe start building some of our offensive capability from the defense while we’re still flowing SIGINT through the offensive teams,” Reynolds said. This move comes as the Marines, as well as the other services, are going through a bit of a culture shock when it comes to introducing these nontraditional skill sets into the ranks. “I think the commandant is willing to challenge every assumption we’ve ever made about how we treat these MOS,” Reynolds said.